It’s not surprising that a thorough review of the efficacy of medication-assisted treatment (MAT) with methadone or buprenorphine reveals a high level of evidence for the positive impact of MAT in keeping patients in treatment and reducing or eliminating illicit opioid use. What is surprising is that the stigma against MAT persists—even though evidence suggests that methadone maintenance treatment (MMT) has a positive impact on drug-related HIV risk behaviors and criminal activity—and thus could make clinic neighborhoods safer, rather than less desirable. The research findings on MMT and buprenorphine or buprenorphine-naloxone maintenance treatment (BMT) were published in November 2013 in two peer-reviewed articles (see References) as part of the Assessing the Evidence Base (AEB) Series sponsored by the Substance Abuse and Mental Health Services Administration (SAMHSA). SAMHSA sponsored the AEB Series to help guide providers’ decisions about which behavioral health services public and commercially funded plans should cover. The Affordable Care Act (ACA) greatly expands health care coverage and provides the opportunity “for federal and state agencies to work with private and nonprofit sectors to transform the American health care system” by developing a comprehensive set of community-based, recovery-oriented, and evidence-based services for people with mental and substance use disorders. The ACA doesn’t specify specific treatments, leaving the decision to federal, state, and local agencies, managed care organizations, and commercial and private insurers. Authors of the MMT and BMT studies searched major databases and other sources to review meta-analyses, reviews, and individual studies from 1995 through 2012. In brief, the studies found that with adequate dosing, MMT (> 60 mg) and BMT (16 mg-32 mg) caused a similar reduction in illicit opioid use, but MMT was associated with better treatment retention and BMT with a lower risk of adverse events. In pregnancy, MMT and BMT (without naltrexone) showed similar efficacy, but MMT was better than BMT in retaining pregnant women in treatment, and BMT was associated with improved maternal and fetal outcomes, compared to no MAT. MMT and BMT showed similar occurrence rates of neonatal abstinence syndrome, “but symptoms were less severe for infants whose mothers were treated with BMT.” BMT is associated with a lower risk of adverse events, and has the advantage of greater availability (office facilities improve access and provide earlier care). MMT may be needed for patients who require high doses of opioid agonist treatment, and has the advantage of a possible positive effect on mortality, drug-related HIV risk behaviors, and criminal activity. Sprinkled within the two articles are qualifiers such as “possible,” “associated with,” and “suggestive.” That’s because the statistical significance shown in some large, well-designed studies tends to disappear when data from individual studies are merged. Merging changes drug dosages, length of treatment, patient characteristics of the group, and other data; these changes may make reaching statistical significance impossible. The authors identified several areas where additional data would be helpful. For methadone, these include the impact of MMT on secondary outcomes, the efficacy and safety tradeoffs of doses > 100 mg, and confirmation of results of interim treatment for improved outcome. (In interim treatment, patients receive methadone daily under supervision for up to 120 days, and emergency counseling, while awaiting placement in a program.) Another research area: the use of MMT in subpopulations—racial and ethnic minority groups, and people who misuse prescription drugs. For buprenorphine, suggested research areas include the impact of BMT on secondary outcomes, appropriate dosing to enhance outcomes, and confirmation of stepped-care results. (Stepped-care involves gradually increasing buprenorphine doses to 32 mg—higher doses “do not provide additional efficacy;” patients requiring more medication are switched—“stepped-up”—to high-dose methadone.) Other research areas: the use of BMT in subpopulations (described above), and improved induction protocols to minimize retention problems. A box in each publication summarizes the authors’ findings for each treatment. We reproduce them below, as they appeared in print. c Having unprotected sexual relations. Regarding retention in treatment and illicit opioid use, BMT had a positive effect compared to placebo, while MMT had a positive effect compared to placebo, detoxification, drug-free protocols, or wait-listing protocols. The authors note the importance of MAT, especially considering the poor success rates of abstinence-based treatments, and recognize both MMT and BMT as important treatment options. Below are summaries of their closing statements. Buprenorphine: Noting the key advantage of buprenorphine—its availability—and the “limited access to and more restrictive safety profile of MMT,” the authors consider BMT an important treatment for opioid dependence. “Policy makers have reason to promote access to BMT for patients in substance use treatment who may wish to choose BMT as a potentially safer alternative to MMT. Fullerton CA, Kim M, Thomas CP, et al. Medication-assisted treatment with methadone: assessing the evidence. Psychiatric Services in Advance. November 18, 2013; doi: 10.1176/appi.ps.201300235. Thomas CP, Fullerton CA, Kim M, et al. Medication-assisted treatment with buprenorphine: Assessing the Evidence. Psychiatric Services in Advance. November 18, 2013; doi: 10.1176/appi.ps.201300256. Dougherty RH, Lyman DR, George P, Ghose SS, Daniels AS, Delphin-Rittmon ME. 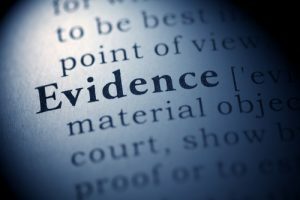 Assessing the Evidence Base for Behavioral Health Services: Introduction to the Series.